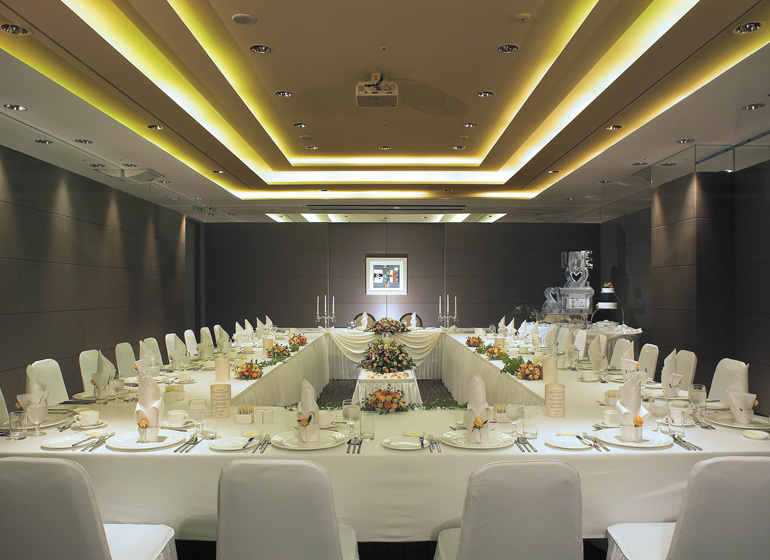 Ramada Plaza Gwangju welcomes you to one of the most splendid banquet halls in the region. 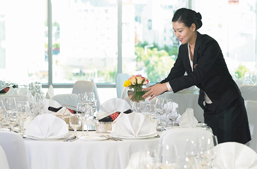 Experience the luxury presented to you by Ramada Plaza Gwangju’s banquet services. 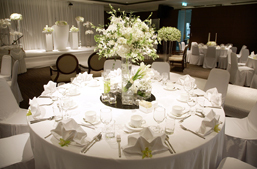 We offer the most luxurious venue, decorated by professional florists, with top-quality services that are provided by our experienced staff and a lavish atmosphere where you can host a business meeting, a seminar and your own memorable family get together. 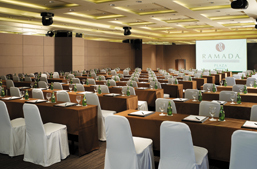 The grand ballroom designed to suit to large scale convention or academic events will satisfy diverse requirements of customers favored by its facilities systemized to enable customized service. 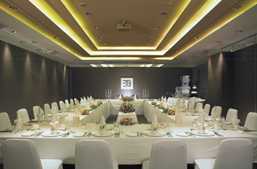 We promise that we will lead the events the customers want to carry out for successful business. More convenient and practical events can be carried out using Small and Medium Event Halls designed to hold different forms of events such as seminar and banquet simultaneously by dividing a single hall into two halls. 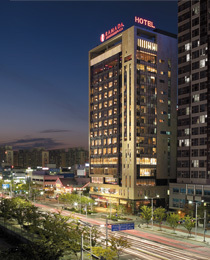 Ramada Plaza gwangju Hotel provides modern facilities and cutting-edge banquet support equipment. 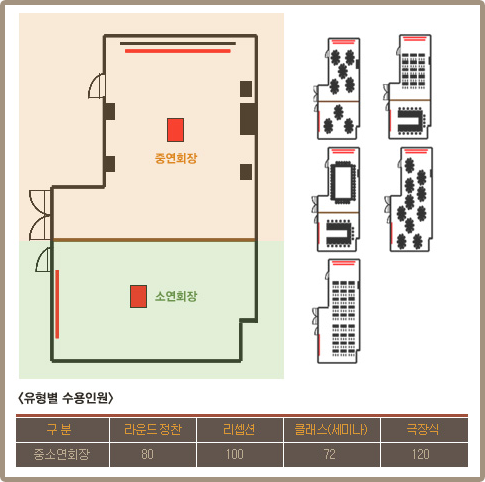 - Large electric motion screen moving up and down installed in the large, medium hall and small banquet hall respectively and drop curtain holding facilities moving up and down, and variable stage moving up and down are possessed. - Retractable high resolution beam projector (6500 ANSI) is mounted on the ceiling. - Established facilities relaying moving pictures (camera relaying facilities) between all event halls. 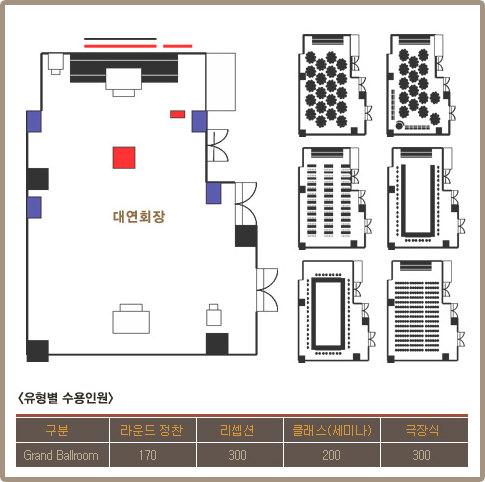 - A variety of special stage direction is possible for events such as fashion show and new product launching show as well as family party favored by the illumination and sound equipment of broadcasting station level. - Support a set of various seminar equipment such as PC and computer peripherals, laser pointer, etc. 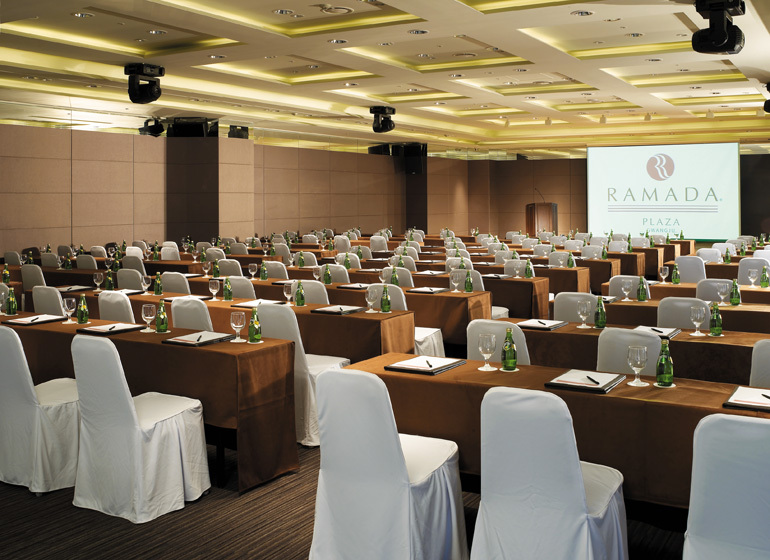 Fully equipped with top-notch lighting & audio systems, this unique, contemporary and versatile venue is ideal for large-scale events including academic seminars and conferences. 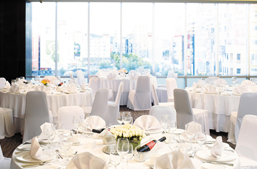 Our small & medium event halls can easily accommodate simultaneous events of all sizes, such as seminars and banquets, with two adaptable venues, ensuring a more satisfying customer experience.